On 1 November 2016, the legal profession will experience a momentous change to the manner in which solicitors remain competent. After that date, every solicitor in England will be required to demonstrate that they have reflected on their abilities to deliver competent legal practice, and bridged the gaps in their competence through learning. 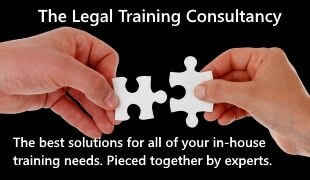 This reflective approach replaces the current system, whereby every solicitor undertakes a flat 16 hours of learning. This new regime has left many confused. In the largest poll conducted on the issue, VinciWorks found that confusion amongst solicitors is the number one concern of compliance departments on the eve of these new regulations. VinciWorks has used this survey as well as interviews with firms, solicitors and the SRA, to develop a full software solution for compliance with the SRA’s new approach to continuing competence. This compliance module is completely free for individual solicitors and is available today. Firms will be able to purchase monitoring, reporting and user management tools to automate compliance on an organisational level. Click here to sign up for free. The VinciWorks Continuing Competence Module features everything solicitors and firms needs to comply with the SRA’s new approach to continuing competence. According to Yehuda Solomont, director of marketing at VinciWorks, this is the first solution that has been created with direct input from the SRA. VinciWorks will be demonstrating the software at the Legalex conference at ExCel (booth L270) on 11-12 May.